SteriShoe is a product for people who care about foot health and hygiene. More specifically, we especially recommend the SteriShoe germicidal UV lamp for anyone who has suffered from diabetes, toenail fungus, plantar warts, athlete’s foot, or shoe odor. It’s that last bit that most interested British Columbia consumer reporter for CTV News, Lynda Steele. Unlike so many other products on the market, we have conducted extensive clinical studies to prove that our device kills the microbes that cause toe fungus, athlete’s foot and other harmful microbes. We understood the problem that many people were facing: they could cure their foot issue with medication, but were promptly re-infected when they stuck their feet back into contaminated shoes again. For this reason, the Foot and Ankle Center of Washington promotes the use of the SteriShoe UV shoe sanitizer as part of a comprehensive toenail fungus prevention strategy. 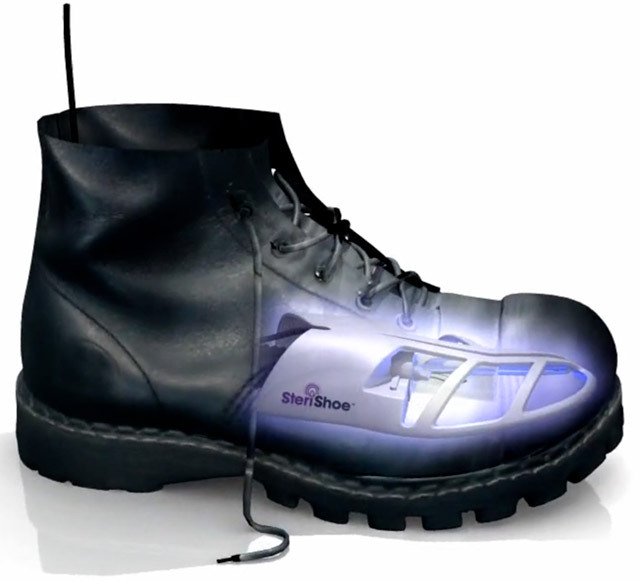 The SteriShoe UV shoe sanitizer usually sells for $150, but you can find it on sale for $129 here.